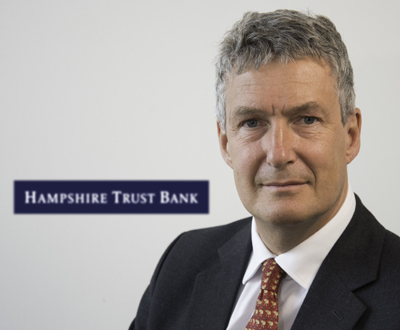 Hampshire Trust Bank (HTB) announced the appointment of Jamie Drummond Smith as a non-executive director today (June 4th 2014). The news comes shortly after the Bank’s May 2014 announcement of the appointment of former First Direct Chair and HSBC General Manager Graham Picken as Chairman, and regulatory approval for its acquisition by Alchemy Special Opportunities Fund II LP (Alchemy). HTB Chief Executive, Mark Sismey-Durrant also confirmed that the bank will focus on providing specialist finance to the SME sector and experienced SME housebuilders. Jamie is a Chartered Accountant and spent 25 years with Deloitte, where he was a Partner in the Corporate Finance division. Following his departure from Deloitte, Jamie held two full-time positions as Finance Director, first with Barbon Insurance Group Limited and then with Cattles Plc during the company restructure. In addition to his position at Hampshire Trust Bank, Jamie will remain a non-executive director of Cattles and Chair of its audit and risk committee. He is also a non-executive director and Chair of the audit committee of Arthur J Gallagher (UK) Limited.